Unto the ends of all the earth. Lest His creation all be lost. As yet to nature unrevealed. Was as God’s temple set apart. Came through God’s Word to be with child. While yet in mother’s womb he lay. Who ne’er lets birds of food despair. And angels praise God with their voice. The Shepherd who made all the world. Und sein Geschöpf nicht alls verdürb. “Christum wir sollen loben schon” first appeared in the Erfurt Enchiridion of 1524. It was Luther’s translation of a fifth-century Latin hymn by Coelius Sedulius, “A solis ortus cardine.” The tune that accompanied this hymn upon its first appearance was a simplified, syllabic version of the melismatic plainchant original, but in later hymnals published under Luther’s direction, the original melismatic version of the melody was restored and persisted. Though for centuries a chief Christmas hymn of the Lutheran tradition, “Christum wir sollen loben schon” appears in the Lutheran Service Book , 2006, No. 385, only in an abbreviated form, “From East to West,” using a translation by John Ellerton based on Sedulius rather than on Luther, with the tune “Vom Himmel hoch.” It appears in The Lutheran Hymnal , 1941, No. 104, “Now Praise We Christ, the Holy One,” together with the simplified melody from the Erfurt Enchiridion, but is missing the fourth stanza. The translation there is a slightly altered version of the 1854 translation of Richard Massie. 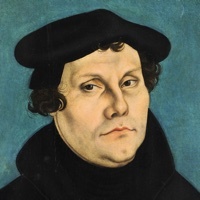 A new translation has been prepared for the Free Lutheran Chorale-Book that is as close as possible to Luther’s word choice and phrasing, and may be freely used and reproduced for any purpose whatever.